Yesterday, I received an email and the subject line said something about this blog being chosen as a best something or other. I have 5800 emails (is that the damn plural of email anyway?) in my AOL account and another 2900 in my gmail account. Un.Read. I scan the subject lines and rather than delete the junk, I just let it pile up. It's like the mail that's strewn about my office. I just let it pile up until it stresses me out. Then, I generally close the door so I don't see it. THEN, the phone rings at 8AM and I know there's a bill buried somewhere. It's part of the new me. It's chemobrain fallout and for those of you who want to continue to fight with me about the nuances of what happens in my brain, I have NO problem going toe to toe. One year ago, I was a ball of speculation. Today, I'm armed with information. I'm pretty sure I can locate studies pointing to what happened in different areas of my brain and how the pathways may be severed (for lack of a better, more medically acceptable word-OR a word that I dropped thanks to one of those aforementioned nuances). I think I can tell you what drugs are believed to have caused which problem. Thing is.... there are a number of issues and it seems EACH of those three drugs in that chemo cocktail caused a different issue. That's my unscientific "observational" study on a single subject. Me. Today, WHO cares? And why..... within those nearly nine THOUSAND emails (seriously, is that the plural version? ), is the intriguing subject line: Chemobrain selected as one of the best blogs of 2012. I was in the midst of trying to help my South African "emotional breast cancer activist" friend, Kwanele hunt down some information. It was hours before I saw that email. I opened it, half expecting to find a message inviting me to join some sort of blog network. Except, I wasn't invited to join anything. 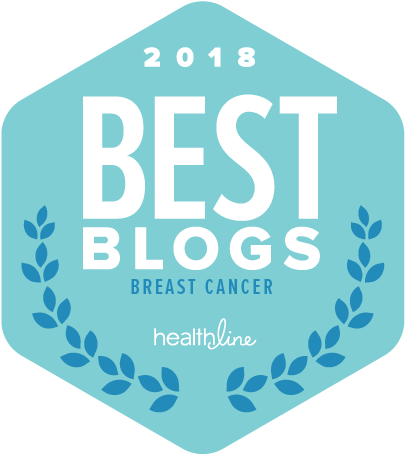 The editors of Healthline.com assembled a list of the Best Breast Cancer Blogs of 2012. There are 23 blogs on the list. TWENTY-THREE and this blog is one that was selected??!?! As many as 12% of women will develop invasive breast cancer during their lifetime. This terrible statistic – about 1 in 8 – has affected more than just the numbers spouted on websites. It has affected the lives of women everywhere. The brave women and families in the blogs listed here are dedicated to sharing their personal journeys with readers so that no one else has to feel like a statistic. 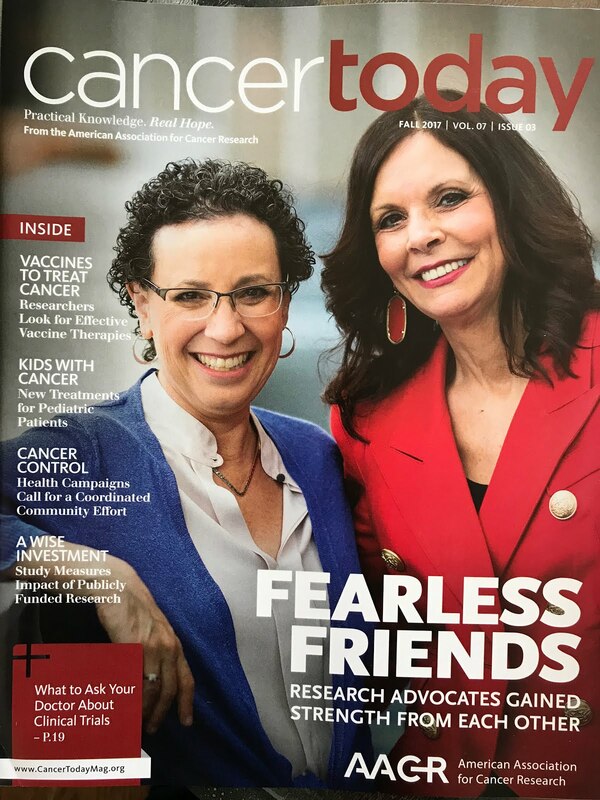 Read about their first minutes coping with the diagnosis, the true impact of chemotherapy, the triumph of recovery, and the pain of relapse. Then cheer them on to the cancer-free finish line. I began clicking through the blogs and I recognize a number of them. Some are new. Some are on the roster on this blog. Still others are blogs I have read and THOUGHT I put on the roster. I will fix that (as soon as I clean the mess on the floor in my office so I don't have to keep answering questions every damn day about what I'm doing). Chemobrain is something many breast cancer patients can relate to – blogger AnneMarie especially so. A survivor with a passion for helping others, she has brought her blog a long way in the past few years. She makes no apologies for her opinions on treatment, healing, and surviving. Strong advocacy and character meet verve and pep on Chemobrain. 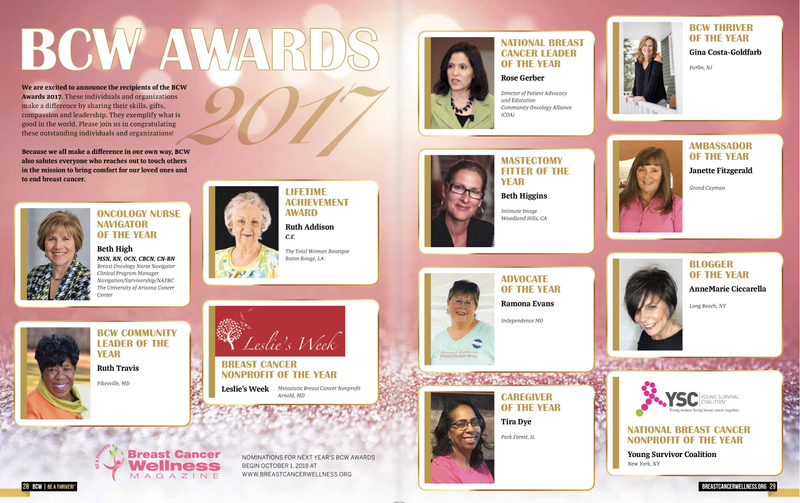 Stop by to stay up on breast cancer research, treatment news, and the opinions of a woman who has her life – and her cancer – under control. One thing is for sure – she’s got the spirit of a survivor. I'm not sure who they are talking about but I am determined to live up to these words. Especially the part about having my life under control! 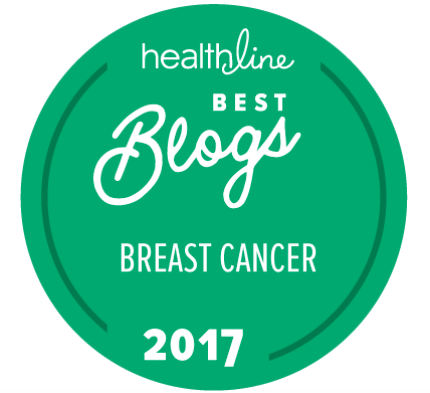 Thank you, Healthline and especially to the editors who decided this blog was worthy of such wonderful recognition. And kudos to all of those with whom I share this honor. Not playing favorites AT ALL, but some of these bloggers have become real, true friends and part of my network of support. Can you indulge me a moment? Not being all cheesy here but I am absolutely overwhelmed to have my name mentioned with the likes of Ann, Catherine, Kathi, Katie, Lani and Nancy. Besides admiring their work, in one short year, they have become my friends. And a very special shout out to Angelo Merendino whose photographic blog of his life with his beautiful Jen rounds out this list. I'm star-struck. How did I wind up in this circle? Thank you, again to the folks at Healthline. Speechless. Still shaking my head in disbelief. And a HUGE thanks to the Visible Ink team at MSKCC. I doubt I would have had the courage to hit the publish button without their encouragement. A piece of this belongs to Judith, who founded the program and Anna who mentored me. Starting to sound like a freakin' Pulitzer Prize or something. I'll shut up now. My best cheerleader since day one! This was a pretty good distraction for a bit of time, right? MY first blog buddy.... you found this blog in the very beginning and have been reading ever since. Never miss a day my friend! I can't keep saying the same thing over and over again, but I am STUNNED by this whole thing! This makes me smile! THIS is what the whole thing was all about...... letting people know they weren't losing their minds Your words mean so much to me. It's now noon-I can celebrate without having to use the "it's 5PM somewhere" excuse! Yeah AnneMarie! Congratulations on your well-deserved recognition! Thanks so much. I remember getting the invite to PerSe (where WE met) and I remember thinking, "Ummmm, don't they know I'm just goofing around here?" How interesting that the current post on your fabulous blog is about Social Media Support. None of this would have happened without social media. Congratulations! You are very deserving. Thank you, John. This makes me so happy to see!! Your post is mistitled. No shock, no awe. You have more than earned this, and it's just grand to see your hard work recognized. Those are really such kind and sweet words. I know it sounds "trite" but it means so much to me to see your comments! Congrats! And on the feature in MSKCC's Bridges, too! And, THANK you..... Yes, indeed... The feature in Bridges! AM, I felt the same 'cheesy' glee, especially seeing you & so many of our pals on this list. Big hugs. Nice to be noticed, isn't it? Oh, and by the way, my entire house & yard look exactly the way you described your email/computer. Buried under here somewhere is a house & a yard. I think I've actually forgotten how to do housework. Congratulations. Don't think I ever knew anyone who won an award before. Keep calm and carry on. Thank you, Vicki..... The way I keep walking around in sheer disbelief (and I am SO NOT KIDDING), you would think it was the Nobel Prize for something! Congrats to you my friend! I am not shocked you are on the list, but I am in awe of you. Your posts are always from the heart and full of passion. What can be better than that? Happy, humbled and honored to be on this list with you. TRUST me, Nancy, you most definitely belong on the list. And I feel the same way about standing beside you! This was just completely unexpected. I want to set the record straight on the cupcake people but I'm going to leave that to Alli. She did a fabulous job! Congrats to you, you do a great job, and I have come to really enjoy this part of my day, seeing what you have to say, what you have learned and what you can share with us in cyberspace. I am thrilled for you. Yaaaaaay . AnneMarie of course you are on the list. Your blog is awesome. It's really nice though to see yourself get recognized. You are making a huge difference and I am so happy for you. Congratulations!